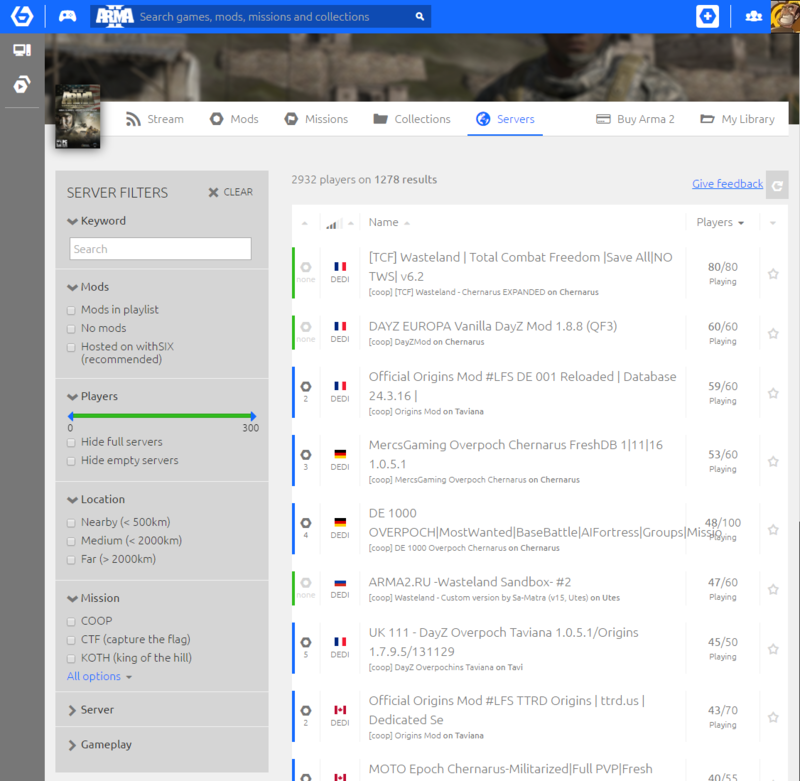 This web based server browser, allows you to quickly find and join any server, while all required mods will be automatically downloaded and installed for you. The new server filter is still in development, but fully functional. Experience the super-fast and smooth filters yourself and let us know what you think? If you have any special requests or issues to report, write us here, or on our community forums. - FIXED: Sync client now connects with web interface more reliably. We are currently working on the ability to host servers. This will allow you to run and command local and dedicated servers with the full set of withSIX features, such as version control, optional mods and even custom repository support.